Rather a curious question to ask, given our area of expertise, we know. 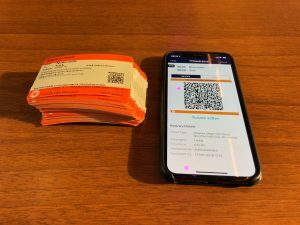 However, given recent news regarding the rail industry’s plans to reform an ‘outdated’ ticketing system, we took a temporary step to the other side of the track, so to speak, to take a look at split ticketing, and explore the benefits that technology can bring to the rail industry’s passengers and capacity crunch issues. This was prompted by the recent experience of five of OnTrac’s team members, who travelled south a few weekends ago to watch local heroes, Newcastle United, play Leicester. Using a popular website to purchase tickets, they were presented with the cheapest ticketing option, and saved a lot of money in the process. However, the cost was greater in terms of detriment to the planet: 81 tickets needed to be printed – we’re not sure how many trees this impacted! Rail passengers have long been advised to plan ahead, and split tickets, to avoid the high costs associated with rail travel. The infrastructure and technology needed to address the capacity challenge is not yet in place across the board, and as such, the industry is tackling the issue in different ways. Trains are becoming increasingly overcrowded; seating is limited, and people are finding themselves standing in aisles or unable to find seating on long commuter journeys. To combat this, passengers are often penalised with travelling both directly and at short notice, to lessen the strain on the rail network. In some cases, prices soar to often more than twice the cheapest option, which is where the split ticketing market has started to boom. 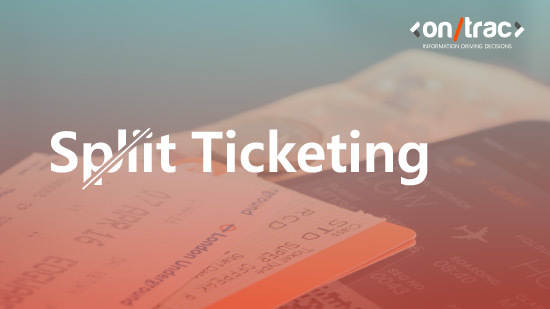 Research does prove that split ticketing reduces the costs of travelling by train by up to 90% – however, split ticketing does have its disadvantages, particularly if you are environmentally conscious. While printing tickets may reduce the cost of travelling by rail individually, splitting tickets across the country – hundreds of times per day – makes us wonder: is a lower price journey worth the damage to the environment, as well as the sheer expense behind perpetual printing costs? How can technology benefit the railways? The capacity challenge faced by the rail industry has long been a focus for improvement. However, social and cultural motivations are often at odds with how the rail industry’s priorities are portrayed in the media, leaving passengers feeling undervalued and dissatisfied with the state of the railways. This means, that while the rail industry is rife with opportunities for digital innovators, it is simultaneously fraught with its own, specific, customer-facing challenges. This results in the rail industry’s reputation as a sector reluctant to change making headlines instead. What do rail passengers want, and where do we look to find it? The waves of innovation being seen across the wider transport sector in recent years, leads us to wonder how the rail industry can adapt, if it is to definitively modernise and keep up with a continually transforming digital landscape. Research by passenger watchdog, Transport Focus, earlier in the year, uncovered how passengers travelling by rail think the railway should look in the future – and what it should offer passengers. Published in partnership with HS2, passengers have highlighted that they want technology to serve a genuine purpose, rather than being used as a gimmick to signify modernity across the rail industry. Our work across the rail industry has seen us working with train operators, freight operators and the supply chain, to help resolve many of the rail industry’s problems. This has included streamlining and digitalising paper-based processes, with a focus on enabling greater communication and collaboration across the industry, a massive reduction in printing costs and, you guessed it: paper. A common theme running throughout the rail industry’s history is the sheer amount of paper that has historically been used to carry out work. Not only has this been notoriously difficult for the industry to keep up with, track and monitor, it is incredibly damaging to the environment – and costs an inordinate amount of money to sustain. What started with the industry’s need to streamline labour-intensive processes to reduce costs, boost productivity and enhance safety across the rail workforce, has become an industry-wide initiative to completely digitalise the railway in its entirety. With this in mind, we believe the rail industry needs to look no further than itself, when it comes to responding to and resolving customer issues and demands. Innovation and digital disruption is rife throughout the industry, and the sooner that this is both communicated to and presented to rail passengers, the sooner the rail industry becomes a safer, more flexible and more reliable sector for everyone.